“THIS is the last chapter of a long and troubled story….” – So said Prime Minister Gordon Brown at the closing of the last big political deal in Northern Ireland four years ago. We know those negotiations didn’t mark the sea-change that Brown’s soundbite suggested. The Hillsborough talks were necessary because of a refusal by the DUP to allow the devolution of Policing and Justice powers, which was “agreed” at the previous set of talks held at St Andrews in 2006. Today, parades reform is still on the agenda because, while it was also “agreed” at Hillsborough, it was never implemented. Each time a ‘big deal’ is agreed, there is slippage. But each time, there is also a step forward. And this time around, the main political parties and the two governments have defied critics (or responded to them, depending on how you look at it), by delivering a deal that stretches further than anyone expected. Two years after the flags crisis of 2012 put the fragility of the political institutions back on the agenda, and a year after the Haass discussions put ‘the past’ back on the radar, there has now been a bid to address both of those big issues. Despite the effective shelving of parades and flags, the deal represents the chance for substantial progress. But, just like the DUP and Sinn Féin said when they got first sight of the London’s improved financial offer, the devil will be in the detail. The text of the deal and the conditions placed on the financial package, both shown here, save the Assembly from financial collapse and improve the scope for borrowing. But there are lots of caveats, clauses and conditions to be met. There are already calls for clarification on the financial package. 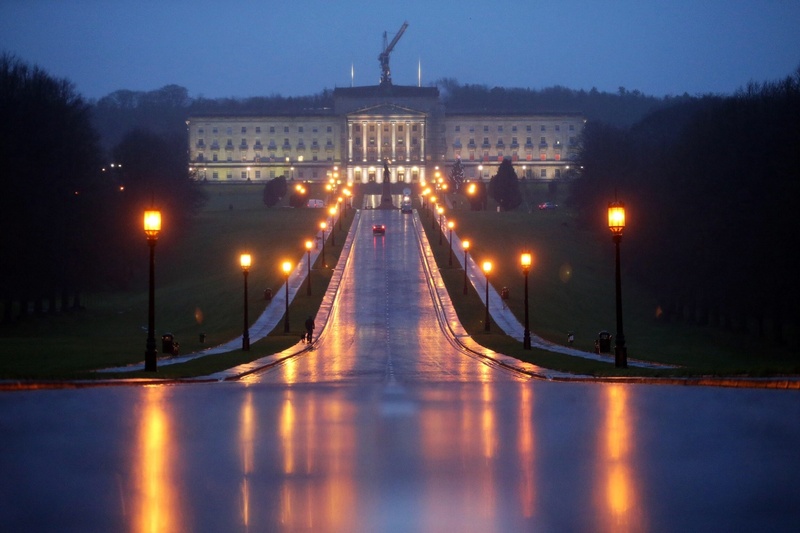 The prospect of Corporation Tax and potentially other powers to be devolved offers the chance of new levers for Stormont in the future, though the outworking of public sector redundancies will raise other questions. But while Stormont coffers will still be under strain in the years ahead, new opportunities now exist. Victims and survivors of the Troubles are also seeking clarity on the the deal’s plan to set up new organisations on investigating killings, on obtaining more information from those involved in violence, and on examining the causes of the conflict. Meanwhile, can a proposed pension for victims avoid a repeat of the rows over financial recognition that hit the Eames/Bradley report in 2009? The Detail previously reported here on cuts to victims’ services, plus concerns reported here that their care may shift into the traditional Health Service. The deal does include reference to an enhanced NHS role in some areas, but there are also pledges for fresh support for victims and survivors – so new opportunities may exist there too. The prospect for ‘smaller government’ at Stormont, with fewer departments and fewer MLAs, may challenge the smaller parties. And the opportunity for an opposition, while maintaining power-sharing in the Executive, will mean it is decision time for those who have been calling for such a move. Sinn Féin and the DUP have chosen to avoid a collapse of the Assembly and have protected their positions as parties of government. The DUP has avoided having to tackle parade reform, which is again delayed. But the unionist demand for a panel of inquiry into the north Belfast parade stand-off appears to be lost. Sinn Féin didn’t expect to secure an Irish language act in these talks, but the earlier inclusion of a language strategy is replaced by both governments recognising the importance of language rights. On the issue of ‘the past’, there was much talk outside the negotiations of inquests into historic cases being brought under the new mechanisms, but that has been avoided in the final deal. Sinn Féin has accepted welfare reform but negotiated a financial cushion which, while it has yet to be tested, republicans claim will protect the most vulnerable from cuts. So there are new opportunities here for the two parties as well. When the DUP comes under the inevitable criticism of hardliners, can it return to the positive vision for unionism that it was outlining before the flags crisis exploded? And while Stormont still faces budget pressures and public sector redundancies, can Sinn Féin now claim in Dublin that it has successfully fought-off Stormont’s smaller version of welfare austerity? Gerry Adams will certainly try. Delivering the Stormont House Agreement required Sinn Féin finding a path through welfare, it required the DUP grasping a deal that went beyond its comfort zone, and it required the British and Irish governments to make the peace process a real priority. They have all made some movement in that direction. The deal sets the scene for the next series of political battles in 2015/16, which will see General Elections to Westminster and the Dáil, plus a fresh Assembly election. Who knows what new opportunities those contests will throw up.